Gary M. Pomeroy is a commercial land clearing contractor specializing in stump grinding with over 30 years of experience. Gary M. Pomeroy is also a certified professional logger and a member of the Professional Logging Contractors Association. Gary has made a conscious effort to remain small and provide quality services. 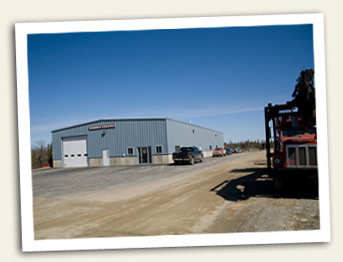 Gary's staff is very efficient and knowledgeable in all aspects of the business. The Forest Society of Maine recently presented an award to Gayle and Gary Pomeroy in recognition of their significant contribution to conservation in Maine with the donation of 860 acres of forestland in Argyle. This land donation will help sustain FSM's ability to carry out its mission to conserve the economic, ecological, cultural, and traditional recreational values of forestlands in Maine. Gary M. Pomeroy Logging Inc.